Seen at Bewdley, 42968, 4566 & 7812 on service trains, 5764 on diner. 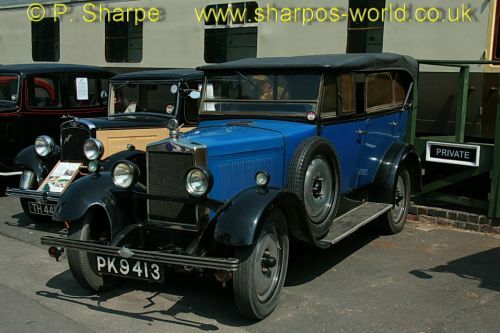 This entry was posted in Severn Valley Railway on June 30, 2010 by Sharpo. 50031 was one of the locos seen on my trip to Bewdley by train from Kidderminster. It was seen arriving then running round the 8-coach train. At Kidderminster, a Bristol double-decker, GHN189, was seen in the car park. This was to be used giving visitors a short bus ride from the station. The other locos working services were 4566, 5164 & 7812. A very smart looking GWR sleeping car, no. 9084, is also seen in the bay at Kidderminster. 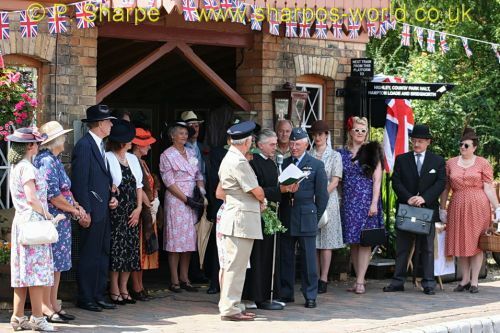 Other photos show the “Dig For Victory Garden” on the station forecourt, also the warden’s post – these are part of the 1940s weekend attractions. This entry was posted in Sharpo's World Photo Updates on June 28, 2010 by Sharpo. Another very hot day at Arley. Managed a photo of all 6 locos today, same runners as yesterday. A Dragon Rapide flew over, so some shots of that as well. Quite a few photos of the period clothing today, including the “wedding”, which makes a change to the usual train photos. This entry was posted in Sharpo's World Photo Updates on June 27, 2010 by Sharpo. A selection of photos, including the Hurricane seen in the previous update. I have only included photos of 5 of the locos – 4566, 5764, 7802, 7812 & 42968. 5164 was the 6th loco and running bunker-first as it entered the station, so no worthwhile shot of it. 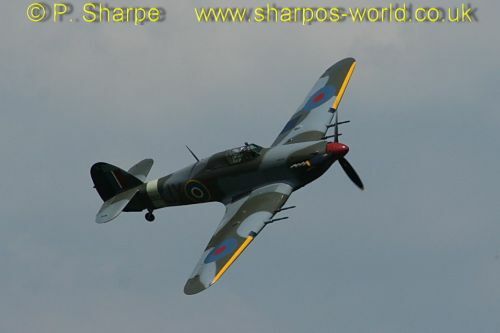 The Hurricane flew over the Severn Valley Railway during the 1940s Weekend event. It approached from the northern end and flew over Bridgnorth towards Highley, where it circled over the Railway as the “battle re-enactment” was taking place outside The Engine House, then continued southwards over Arley, where my photos were taken, and on towards Bewdley & Kidderminster. I know nothing about ‘planes, but an internet search tells me this was the last Hurricane to be built out of a total of 14,533. This entry was posted in Sharpo's World Photo Updates on June 26, 2010 by Sharpo. On Wednesday, 5164, 5764 and 42968 were in use. On Thursday, same again, but when 42968 arrived at Bridgnorth it stayed at the end of the train and 7812 was attached to the other end to haul the train to Kidderminster, 42968 coming off at Bewdley. Friday, 4566, 5164 & 7812 were in use. 50031 was on Footplate Experience with 8 coaches & D8188 was on the Stourport branch siding with a wagon being loaded with rails. 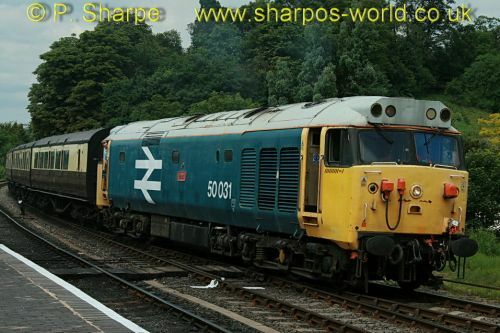 This entry was posted in Severn Valley Railway on June 25, 2010 by Sharpo. Saw 2 of the trains cross at Bewdley, 5764 was on the train from Kidderminster and 42968 on the one from Bridgnorth. I was by the buffet as the Pannier passed by & managed a photo but 42968 arrived at exactly the same time at platform 3. 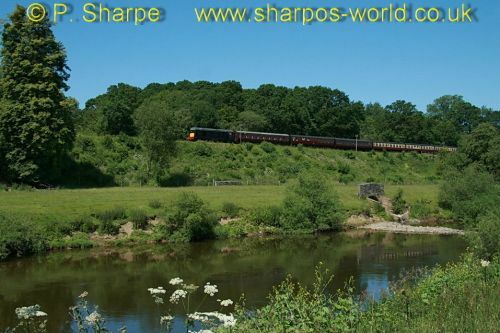 This entry was posted in Severn Valley Railway on June 22, 2010 by Sharpo. Same place, as always, but the sun was shining, the trains were running & we enjoyed a few hours out. The grass is getting a bit long on the path down towards Victoria Bridge so we go upstream for a change. Lineside vegetation is growing fast & there aren’t clear shots any more, so I tried a different sort of shot for the Class 20. Surprised to see everything was chimney-first today. This entry was posted in Sharpo's World Photo Updates on June 21, 2010 by Sharpo. Down towards Victoria Bridge, 5164 was on the first train seen heading for Bridgnorth, a few minutes later 4566 headed towards Kidderminster on the first train from Bridgnorth. At the station, 42968 arrived on Footplate Experience, then 50135 working the diesel turn. 4566 was then seen again, crossing with the 4th steam loco, 5764. I didn’t stay long enough to see it, but 50031 worked the 2nd round trip of the diesel turn. This entry was posted in Sharpo's World Photo Updates on June 19, 2010 by Sharpo. Took KC for her walk along the riverbank to Bewdley today, called in at the station for lunch – it was really hot sat in the sun. Only saw the one train, hauled by 4566. We would have had to wait almost 2 hours to see the other train, so headed home. 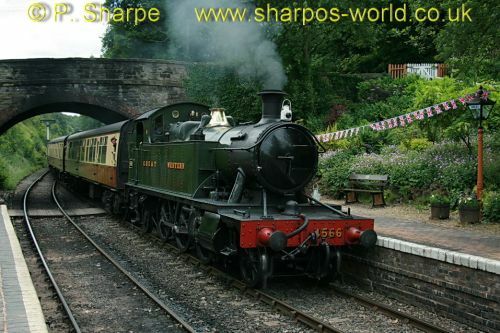 This entry was posted in Severn Valley Railway on June 16, 2010 by Sharpo. Took some more photos of the poppy field today. Probably in a few days they will be past their best, fortunately the sun was shining as I took the photos and the colour was fantastic. It also featured on the local BBC news this evening. 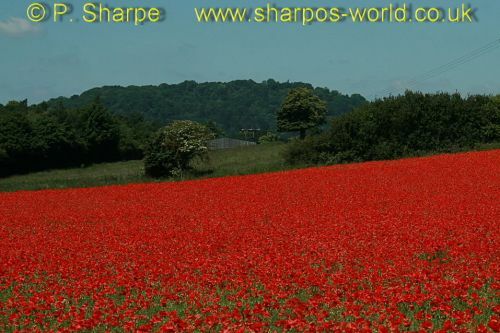 This entry was posted in Sharpo's World Photo Updates and tagged photograph, picture, poppies, poppy on June 16, 2010 by Sharpo. I’ve merged the test site & my SVR timetable into a working site. It’s still early days & I can’t test it on anything other than my own cheap mobile but it appears to work without problems. The images can be made to appear almost full screen on the mobile, and when set to low quality an image only takes about 5kb to download, instead of approximately 40kb at full resolution. There won’t be any “new” photos on it, as all images will be from my exiting galleries. If you have a mobile, give it a try, pass the link on to a friend for their opinion. I’m not trying to score a high number of “hits”, as they aren’t counted – just wondering if it is of interest to people, as I’m sure not everybody has a pc at home to use. If you look at it on your pc, it is very basic, but that is what is needed for a mobile. This entry was posted in Computers on June 16, 2010 by Sharpo.